Two GAPS teachers have plans for travel and educational enrichment over summer vacation. 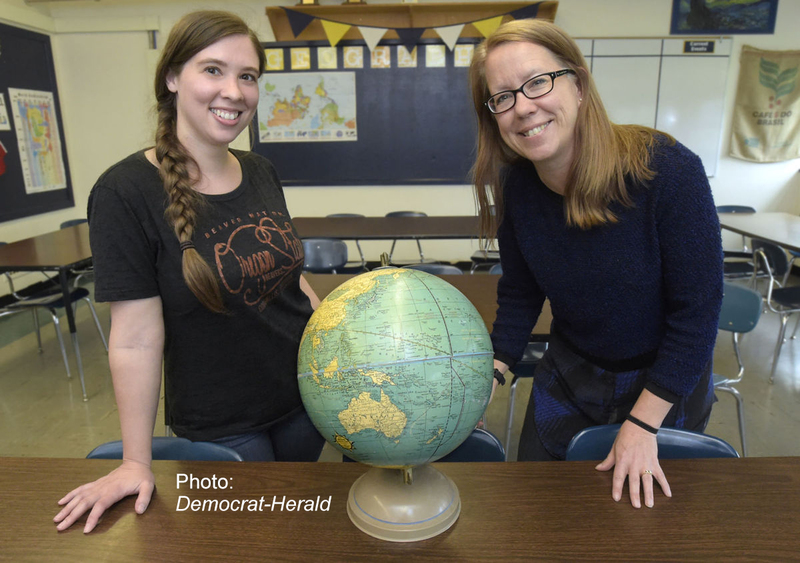 West Albany High School teacher June Morris and Memorial Middle School teacher Kerrie O’Brien will travel to Chile in July with 10 other Oregon teachers to learn about the geography of Northern Chile. June Morris of West Albany High School and Kerrie O’Brien of Memorial Middle School will travel to Chile from July 5 to 22 with 10 other Oregon teachers. The trip’s costs are covered courtesy of the Center for Geography Education of Oregon. The center, housed at Portland State University, organizes and pays for travel opportunities for its member teachers as part of its mission: to improve geography education throughout the state. “The idea is that teachers who teach about the world should travel the world,” explained Morris, who teaches Advanced Placement European History, AP Human Geography and freshman geography at West. The opportunity to travel enhances not only the teacher’s training but the student experience, because students tend to be much more engaged when they’re hearing a firsthand perspective, added O’Brien, who teaches seventh- and eighth-grade science and a Talented and Gifted enrichment class at Memorial. And, she said, it may inspire more students to travel themselves. This will be the teachers’ second overseas trip with the Center for Geography Education in Oregon. Both traveled to Turkey in 2012. In Chile, the teachers will be exploring various geographical areas, from the arid Atacama Desert — “There are places it has not rained for as long as there have been people there to report it,” O’Brien said — to the Willamette Valley-like terrain of the Central Valley. O’Brien, whose seventh-graders study plate tectonics, is planning a unit on how Chileans coped with a 1960 earthquake considered the most powerful ever recorded. Both Oregon and Chile lie near subduction zones, which means multiple opportunities for studying what might be done locally in advance of the devastating quake expected to someday strike the Cascadia Subduction Zone. Morris said she hasn’t got a lesson plan fully developed yet — that’s part of what will be done through the trip — but as an AP European History teacher, she’s looking forward to seeing the legacy of Spanish colonialism and its effect on indigenous populations. 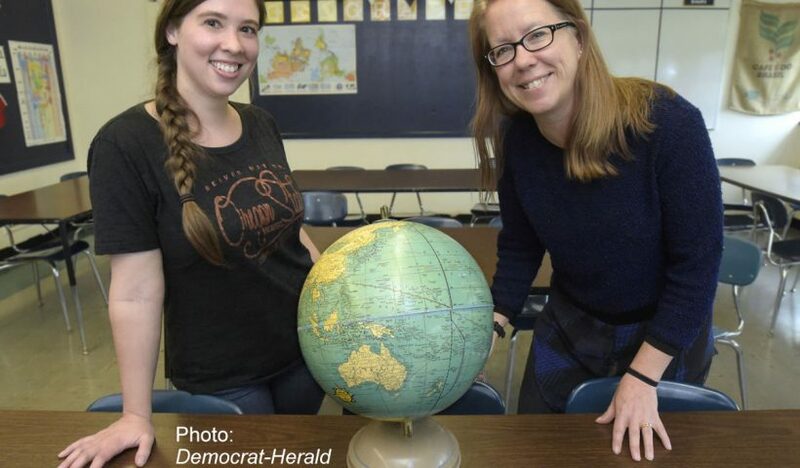 Both teachers say they joke that geography is “the mother of all subjects,” but at the same time, neither one really see that statement as a joke at all. Until she took a professional development course with the center, then called the Oregon Geographic Alliance, O’Brien said she thought of geography lessons as filling in blank maps with crayoned rivers and mountain ranges. After that experience, she said, she’s learned the subject is really about the essence of the human experience: how people’s surroundings affect them, and how they in turn affect those surroundings. Everything from travel to trade, language development to social changes, is affected by the placement of a society in the world. “Knowing where stuff is is kind of important, but it’s much more important to think geographically,” O’Brien said. Not all teachers get much exposure to geography in that way, Morris added. That’s why the center’s work is so critical, she said: It helps teachers to develop that understanding of geography as an essential topic.